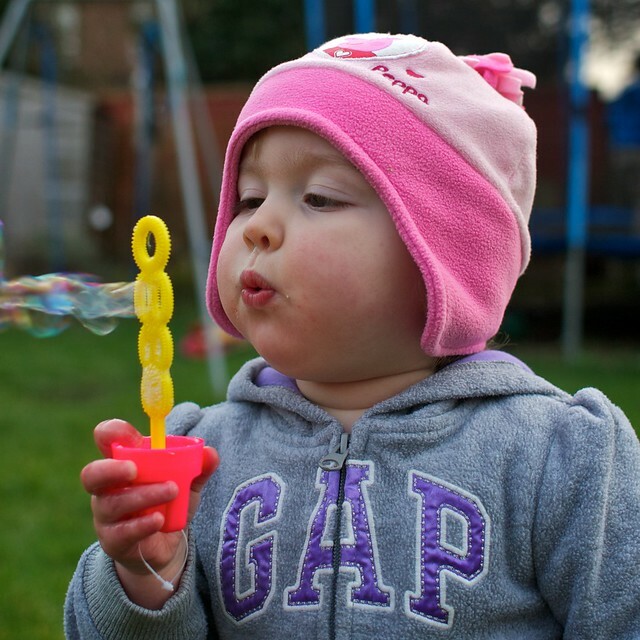 Categories: Children | Tags: aperture, bubbles, child, child photography, children, Flickr, fun, garden, Mia | Permalink. Today Mia has been particularly cheeky, none more so than when she decided to help herself to some fruit! I suppose I should be pleased that she went for the fruit and not the sweets or cakes. However, as you can see from these photos, she wasn’t content with having just the one apple. No, she wanted two apples and even tried to eat an un-peeled orange. On the plus side, this little cheeky session she was on allowed me to my new lens through its paces again, and also to try and apply some freshly learnt skills about speedlites. One area of photography that I have never got to grips with, and should since I am shooting a wedding in the Spring, is flash photography. Anyway, to make my life a little easier I’ve purchased a book and have spent the last day going through it and then running off to do a little experiment. I’m slowly getting there but the key, as with most learning(!) is to be able to recall this knowledge when its needed…only time will tell if this will be the case. Until then, enjoy these pictures of Mia and the story of her apple! Mia, What are you doing? Ah, you’ve found an apple! If I hide behind here, no one will find me! I fancy an orange now! That’s it. I’ve had it with this apple…take that! Categories: Children, Fun | Tags: aperture, Apple, black and white, children, flash photography, fruit, fun, Mia, new lens, orange, playing, selective black and white, speedlite | Permalink. I thought for a change I would post a picture of a person rather than a city or landscape. When Mia was about 12 months old she loved nothing more than walking around the garden and pulling all the flower heads off. Now this wouldn’t be so bad if it was the autumn and the flowers needed dead heading, but as it was just the start of summer this meant we spent a lot of time chasing after here frantically trying to stop her from destroying the whole garden! The flip side was that during sunny days it made for some great photo opportunities as Mia sat and “played” with the flowers! 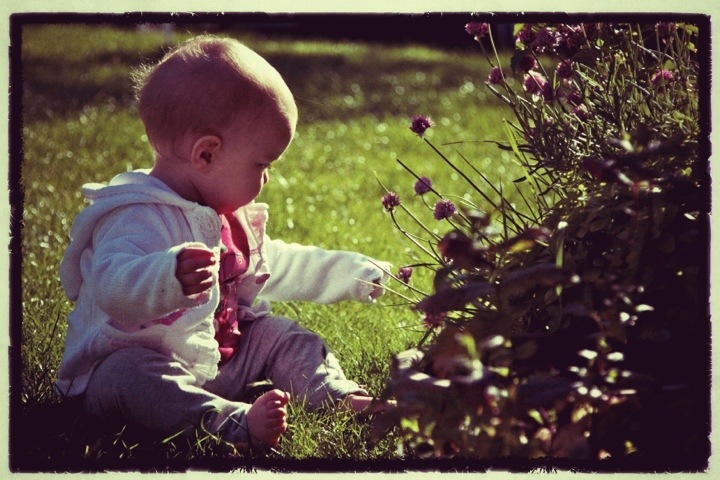 Categories: Children, Fun | Tags: baby, flower, garden, iPad, Mia, playing, snapseed, summer, vintage | Permalink.